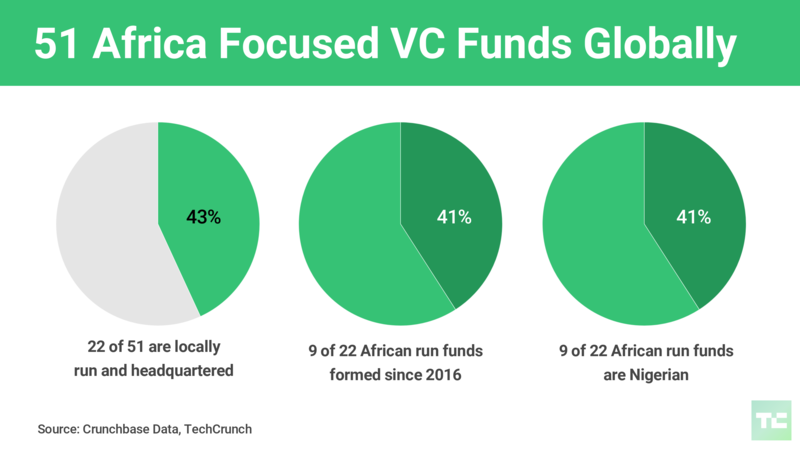 Africa’s VC landscape is becoming more African with an increasing number of investment funds headquartered on the continent and run by locals, according to Crunchbase data summarized in this TechCrunch feature. Drawing on its database and primary source research, Crunchbase identified 51 “viable” Africa-focused VC funds globally—defining viable as formally established entities with 7-10 investments or more in African startups, from seed to series stage. Of the 51 funds investing in African startups, 22 (or 43 percent) were headquartered in Africa and managed by Africans. Of the 22 African managed and located funds, 9 (or 41 percent) were formed since 2016 and 9 are Nigerian. Four of the 9 Nigeria located funds were formed within the last year: Microtraction, Neon Ventures, Beta.Ventures, and CcHub’s Growth Capital fund. The Nigerian funds with the most investments were EchoVC (20) and Ventures Platform (27). Notably active funds in the group of 51 included Singularity Investments (18 African startup investments) Ghana’s Golden Palm Investments (17) and Musha Ventures (36). The Crunchbase study also tracked more Africans in top positions at outside funds and the rise of homegrown corporate venture arms. One of those entities with a corporate venture arm, Naspers, announced a massive $100 million fund named Naspers Foundry to support South African tech startups. This is part of a $300 million (1.4 billion Rand) commitment by the South African media and investment company to support South Africa’s tech sector overall. Naspers Foundry will launch in 2019. The initiatives lend more weight to Naspers’ venture activities in Africa as the company has received greater attention for investments off the continent (namely Europe, India and China), as covered in this TechCrunch story. “Naspers Foundry will help talented and ambitious South African technology entrepreneurs to develop and grow their businesses,” said a company release. After the $100 million earmarked for the Foundry, Naspers will invest ≈ $200 million over the next three years to “the development of its existing technology businesses, including OLX, Takealot, and Mr D Food…” according to a release. In context, the scale of this announcement is fairly massive for Africa. According to recently summarized Crunchbase data, the $100 million Naspers Foundry commitment dwarfs any known African corporate venture activity by roughly 95x. The $300 million commitment to South Africa’s tech ecosystem signals a strong commitment by Naspers to its home market. Naspers wasn’t ready to comment on if or when it could extend this commitment outside of South Africa (TechCrunch did inquire). If Naspers does increase its startup and ecosystem funding to wider Africa— given its size compared to others—that would be a primo development for the continent’s tech sector. If mobile money was the first phase in the development of digital finance in Africa, the next phase is non-payment financial apps in agtech, insurance, mobile-lending, and investech, according to a report by Village Capital covered here at TechCrunch. 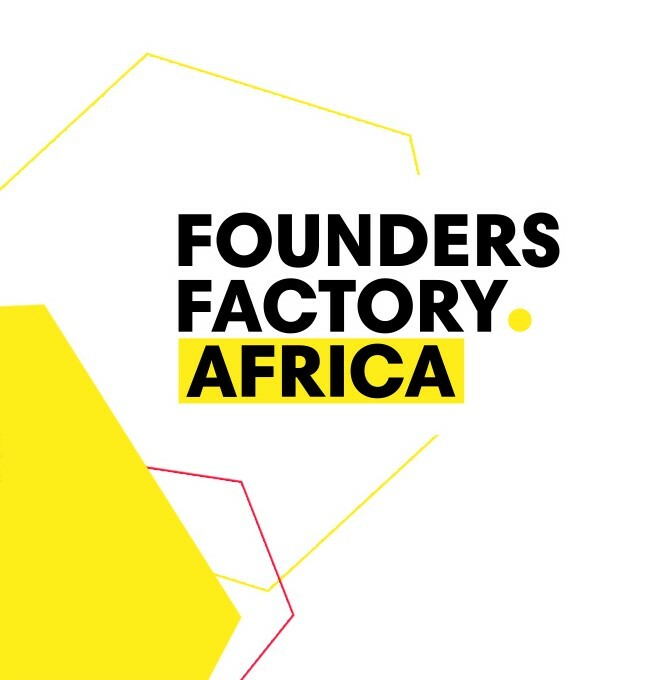 The Founders Factory expanded its corporate-backed accelerator to Africa, opening an office in Johannesburg with the support of some global and local partners. This is Founders Factory’s first international expansion and the goal is “to scale 100 startups across Sub-Saharan Africa in five years,” according the accelerator’s communications head, Amy Grimshaw. Founders Fund co-founder Roo Rogers will lead the new Africa office. Standard Bank is the first backer, investing “several million funds over five years,” according to Grimshaw. The Johannesburg accelerator will grow existing businesses through a bespoke six-month program, while an incubator will build completely new businesses focused on addressing key issues on the continent. Founder Funds will hire over 40 full-time specialists locally, covering all aspects needed to scale its startups including product development, UX/UI, engineering, investment, business development and, growth marketing. This TechCrunch feature has more from Founders Fund management on the outlook for the new South Africa accelerator.